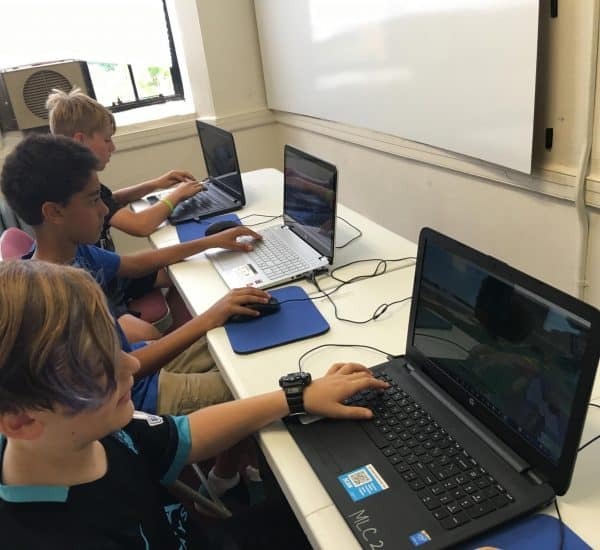 Minecraft, utilized in our Minecraft Mania program, is a widely popular 3D video game that lets users explore, construct, create, and interact inside an open and changeable virtual world. How does it relate to STEM? Due to its educational potential, Minecraft has evolved into an excellent (and engaging) way to expose students to STEM-related subjects, including computer science, technology, and other skills. That’s why we offer a number of Minecraft courses in our program geared toward the young minds of your children. What is our Minecraft Mania! program? We offer a series of Minecraft courses for grades 1 to 8 throughout the year. 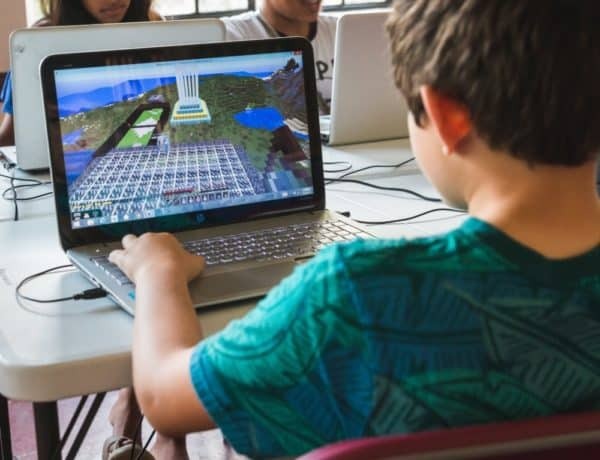 These courses have been ideally developed to harness and apply Minecraft’s proven educational possibilities, all while students can enjoy a fan-favorite activity. If your children are already Minecrafters, these courses will satisfy their love of the game. If they are not familiar with Minecraft, these courses are a wonderful way to get started on developing a digital literacy that will aid them throughout their academic careers. During the school year we offer a rotating series of month-long courses that each meet once a week. Over the summer we run similar week-long courses that meet for an hour each day. Each of our Minecraft courses introduces a new world or civilization, with different missions, quests, or challenges. These tasks encourage students to learn, think strategically, work together to accomplish their goals. As they participate in the courses, students learn and engage in a range of STEM topics, as well as other traditional subjects like social studies, all while developing contemporary skills of digital citizenship, cooperation, and leadership. Do you need your own Minecraft account? 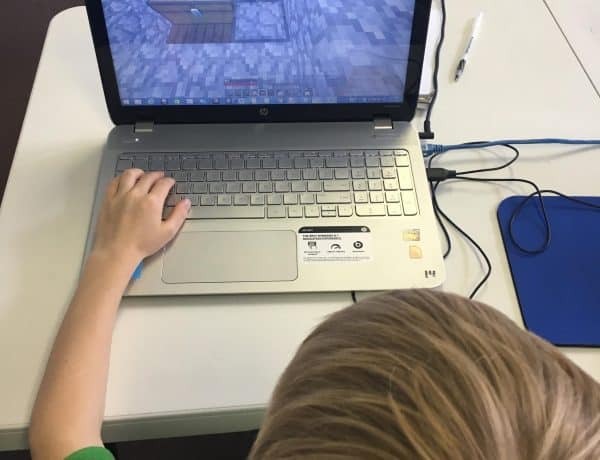 Students do not need a Minecraft account, as we use a proprietary curriculum where kids access Minecraft using our accounts and explore and learn in our networked server. Minecraft Mania! – Students accomplish different tasks, challenges, and quests in varying Minecraft worlds chosen for their educational value. Advanced Minecraft – Students will build and edit their own maps. Students will also be introduced to logic gates and Redstone. Minecraft Code Builder – Students explore, create, and play in an immersive Minecraft world – all by writing code.